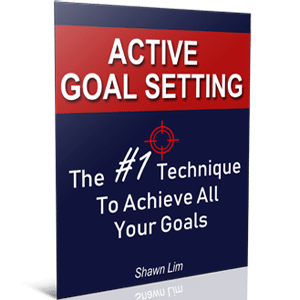 When it comes to goal setting, everyone wants to achieve their goals, but sadly, only a small percentage of people reach their goals in the end. What about you? There is a study done by Scranton University some time ago. The research has found that as high as 92% people who set New Year resolutions fail to achieve them. And that means only a tiny 8% people achieve the goals they set. Don’t you think this sounds crazy? So many people set their targets but fail to hit them. How about you? Do you set goals but fail to accomplish them? If you are like the majority; you set goals, but you fail to reach them, you need to find out the reason why. You need to know why you fail, and then you can come up with a solution to overcome and achieve what you want. One of the most common reasons people fail to reach what they want is that they don’t have the time. They want to build a blog and grow a new income stream, but they just don’t have the time to do it. They would like to spend 30 minutes for reading and another 30 minutes for exercise, but they just can’t seem to find the extra time for these activities. If this is what describes you, you need to learn to commit to the right things. There will always be enough time, if only you learn how to manage yourself and choose to work on things that truly matter. Everyone has 24 hours a day and no matter what we do; we cannot create more time. Therefore, it is all about how we manage ourselves and how we manage our tasks. Do you want to build a successful business or be a millionaire investor? Do you know how to do it? A lot of people say that they have no idea how to do something, but in fact, it is not that they don’t know, they just refuse to use their brain to think. How do you lose weight? How do you build a business? How do you create a successful blog? How do you do marketing for your online business? You can find answers from other people who have done it before. Everything that you ever wanted to accomplish has already been accomplished by someone else out there. All you need to do is to find out the answer. Search on Google, read books and ask someone who has done it. Are you 100% committed to achieving your goals? Are you willing to do whatever it takes to reach your goals? Or you will just do what is convenient? You see, when it comes to goal achievement, we need to put in 100% commitment if we are serious about achieving what we want. I have seen people who said that they want to build an internet business at night, but once they reached home from working; they choose to watch TV instead. When you are committed, you will do whatever it takes, and failure is not an option. You will sleep at 2am and get up at 5am to work on your goals. Unfortunately, most people are not committed toward their goals. They just say that they want, or they wish to reach their goals, but they are not committed. Do you know Sylvester Stallone? He is the guy who achieved outstanding success through commitment. Read his story here. Do you know that success takes time? It is impossible for you to become an overnight success, unless if you win the lottery. A lot of people thought that success is about doing that one thing, and they will be successful. No, it is not. Success is about doing consistent hard work throughout the day, every day! And you know what; most people will give up when they don’t see the result. Some will quit after a few months. Some will quit after a few weeks. And some quit after just after a few days. Extraordinary people spend years before they manage to produce remarkable result through their work. Do you think Michael Jordan, Steve Jobs, Bill Gates, Warren Buffett achieved their outstanding success in a short period? Not at all. They have gone through many setbacks, failures, challenges, and hardships, but they never give up. The ultimate killer of your goals is not to take action. People tend to procrastinate because taking action can be challenging, difficult and boring. If this is why you fail to reach your goals, you have to learn to build self-discipline. People choose to follow their feelings and controlled by their emotions throughout the day. They choose to sleep more because it feels so good. If you are all about your feelings and emotions, you will procrastinate. You need to live your life with principles, not feelings. Successful people have feelings too, but they learn to manage their feelings and controlled their emotions better than most people. That is why they take action regardless of whether they feel like it or not. They choose to wake up at 5am even if it is raining and they feel like continue to sleep. They know that if they want to be successful, they need to live their life with principles, and not let their feelings control them. Do you fail to reach your goals because you are afraid to fail? You have to understand, and failure is inevitable in life. Choose to treat failures as feedbacks. It is alright if you fail. As long as you never give up and learn from your failure, you will eventually succeed. Thomas Edison failed more than 10,000 times, but he never looked at his attempts as failures. He said that he has successfully found 10,000 ways that don’t work. You will never fail as long as you never quit. How does a toddler learn to walk? He will try to stand, walk a few steps and fall. What would the parents do? The parents will encourage the toddler to stand up again and try until he walks. You have to do the same. Keep on trying until you succeed. You cannot be successful and reach your goals if you never improve after you have failed. One of the keys to creating extraordinary results in life is to learn and keep improving from the results we get in life. If you try something, and you fail, then you should learn and improve or do something else so that you will get different results. You will get the same old result if you refuse to change and keep doing the same thing. When I said change, I mean changing your strategies, not your goals or your dreams. Unfortunately, most people don’t do this. When they fail, they thought that they did not work hard enough. So they pour in more effort and time into it. Guess what, they will get the same result, just faster. So dare to try something new and do something different from time to time. Learn from your mistakes and keep improving. If your goal is to make a million dollar from your internet business in 3 years so that you can quit your job, what should you do? Do you have a proven plan and do you know how to do it? What if you want to lose weight? The first thing that comes into most people’s head is to go on diet or exercise. While it is true that you can lose the extra fat through diet and exercise, but do you have a proper diet plan or proven exercise that can help you more effectively? You have to learn the proven method to reach your goals. If you don’t follow a proven plan or strategy, you will waste a lot of energy and time into trial and error before you can achieve what you want. Remember, you will never going to see the sunrise if you keep running west. Are your goals clear and specific? When you ask people what they want in their lives, most will give you vague and general answers such as they want to be rich, or they want to be happy. No wonder most people fail to reach their goals. The term ‘happy’ is not clearly defined. How can you be happy and what makes you happy? Thus, there is no way you can tell if you have achieved it. The same goes if you say that your goal is to be rich. How much do you want? Is earning an additional $100 considered rich or do you need to earn an additional $100,000? Be as clear and as specific with what you want. There will be a lot of people who will tell you that your goals are impossible, or it is too difficult, or nobody has ever done it before. Some people will not tell you these, but they will tell you to get a job when your goal is to build a successful business. Well, what should you do? Just ignore the naysayers and don’t listen to them. When you have a dream or a goal, you have to protect it. Never let anyone tell you what you can or cannot do. Never let other people’s opinion become your reality. Choose to believe in yourself and do what you think is right. Follow your heart and chase your dreams. If you listen to people who say that it is impossible, or you should get a job in the sanitary department because you fail in school, you are living their expectations, not yours. Don’t let other people define your life. You should be the one to choose how you want to live. So ignore the naysayers. Another common reason people fail to achieve their goals is that they try to focus and handle too many projects at a time. Don’t be the jack of all trades and master of none. Start to focus your energy and choose to work on your most important goal. I know that you have many goals to achieve, but you have to identify the most important one and concentrate all your effort to work on it. If you try to chase two rabbits at the same time, you will end up catching none. Hence, ask yourself right now, what is the most important goal that if you achieve it, it will have the biggest impact on your life? Focus and work on it right now. Here’s an interesting article you must read, How Do You Eat An Elephant. Do you doubt your ability? This will usually happen after you have taken some actions but are not seeing any result. People are most motivated and driven in the beginning. They will only doubt themselves when they don’t see the results after some time down the road. Stop. Have faith and trust yourself. Things will not happen overnight, and you should focus on improving and taking more action. If you doubt yourself and your goals, who else would believe in you? You have to be the first person in this world to say yes to your goals and your dreams. Nobody will believe in you if you don’t believe in yourself. Do you know that you will become who you mix around with most of the time? If you always mingle with people who have no dreams or goals, you will eventually throw away your dreams and your goals. When you fail to accomplish your goals, you will say that it is alright because everyone is the same. On the other hand, if you mix with other successful people who always talk about dreams and goals, you will be inspired by their conversations and their thinking. This is why you need to be careful who you mix around with. If you want to be an eagle, stop swimming with the ducks. If you want to improve your tennis skills, train with people who are better than you. This is another common reason people fail to live their dreams. They choose to do the wrong tasks. They choose to watch TV instead of working on their dreams. They choose to play games when they should write a blog post. They waste time on Facebook mindlessly when they need to read a book. Stop wasting too much time on tasks that don’t matter. Choose to spend time working on things that truly matter to you. Work harder and spend more time on your goals and your dreams. Learn to delay gratification and have the discipline to take action. What you can do is to practice the Big 5 strategy. Do five things that will move you toward your goals each day. Within a year, you will have accomplished 1825 victories, and this will seriously create a positive impact on your life. This is a common mistake people will make when it comes to achieving their goals. They choose to focus on the result instead of the progress. If you are a blogger, and you set a goal like, “to get 1,000 subscribers in the first month”, you will feel like a failure when you did not hit the target by the end of the first month. That’s where most people give up because they thought they have failed. What you need to do is to focus on the progress. You can choose to publish fresh content on your blog on a regular basis, write guest posts on other blogs and leave comments and build a relationship with other bloggers. And eventually, your blog will grow, and you will hit the 1,000 subscribers mark. What makes you achieve your goals is the progress. And if you focus too much on getting the result, it won’t work. Rather, choose to focus on the progress and take consistent action, and the result will automatically come. There will be times people don’t have the motivation and drive to take action and work on their goals. This is very normal. It happened to me, and I believe it happens to everyone. Well, you just need to learn how to manage your drive. What should you do when you don’t feel motivated? Read my article, How to Get Motivated Instantly. There will be times successful people feel down and no motivation too. It is just that they know how to handle the situation properly and do it anyway. This is what you need to do too when you feel like not doing anything. More is not always merrier. In fact, we should choose to focus only on one or two important goals that we want to achieve. It is always better to have one accomplished goal than five uncompleted goals. When you try to handle too many projects or doing too many things at the same time, you will get distracted and you will split your effort too thin. Imagine you are trying to grow ten websites together, do you think you can achieve great success with them? I’m not sure, but I believe the chances will be low if you don’t have any leverage or others to help you. The better way is to focus on building and growing only one website. Put all your focus and energy into the one website until you make it successful. Only then you start other websites. So ask yourself, what is the one most important goal that you need to focus on right now? Work on it until you achieve it, all else is secondary. I don’t believe that people are lazy. If you say that you are a lazy person, think about it again. There are times when you feel so excited and so motivated that you can’t wait for something to come, right? For example, the night before you travel oversea for the first time? Or maybe you are so obsessed with playing computer games that you have all the energy to stay up late? These are the things that showed we are not a lazy person. We just don’t know how to channel our motivation to the right place. Therefore, make use of this factor and set an exciting goal that will make you want to jump out of your bed to work on it. This is another common killer why people fail to reach their goals. 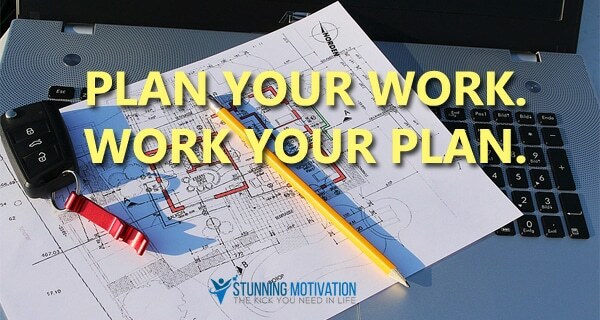 They get distracted and they attend to work on other things and forget about their goals. A classic example is someone who is fresh and just out of college. They want to build a business and earn additional income. Thus, they join a network marketing company. They work for a while, but then they discovered or rather, get distracted and found another company. They decided to join the other company. After some time, the same thing happens again, and they jump to another business. The same thing happens in life. We often get distracted and switch from one thing to another. We say we want to lose weight, but after a few days, we get distracted and totally forget about the goal that we set. Never let this happen to you. This is why you need to consciously review your goals and think about what you want all the time. Create reminders so that you will never forget about what you want in the first place. Do you notice that all the reasons above are excuses? You don’t have enough time, you don’t know how; you don’t have the money to do it, etc, etc. These are all common excuses given by people when they fail to achieve their goals. Never give excuses from today onward. When you don’t know how to do something, search for the solutions and ask for help. If you don’t have enough time, make time and create a better schedule. Everyone has 24 hours a day; it is not an excuse to say that we don’t have enough time, what about those who have made it then? Do they have enough time? The moment you caught yourself making an excuse, shout “Cancel” out loud and then find a way to solve it. Train your mind to think of a solution and not an excuse. Is the goal you set what you truly want to accomplish in life? Sometimes, when you feel no motivation or are not passionate with your goals, it may be because the goal is not something that you really want. You have to ask yourself, deep down in your heart and listen to your intuition, what you really want to achieve in your life? Is this what you truly desire? When something is what you truly desire to accomplish, you will be more motivated, passionate and more committed to work on it. Thus, take your time to think about this. What do you want to achieve in your life? What kind of life you want and what are the dreams and goals you want? These are the 21 most common reasons people fail to achieve their goals. Can you relate to these reasons or are you making them? What do you think about these 21 reasons? Share your thoughts in the comment section below.